The Qatar Motor and Motorcycle Federation (QMMF) is delighted to announce that 19 teams (subject to FIA approval) have entered next week’s Manateq International Rally of Qatar, the final round of the FIA Middle East Rally Championship (MERC). The three MERC, MERC 2 and MERC 3 titles were all decided at last weekend’s thrilling penultimate round in Kuwait. Many of the teams that took part in that event at the new Kuwait Motor Town racing facility loaded their cars and equipment on a ship bound for Doha and they will be joined by a host of other drivers, including several teams making their MERC debut on the three-day Qatar event (November 15-17). While the likes of 14-time regional champion Nasser Saleh Al-Attiyah and his season-long Czech rival Vojtĕch Štajf will clash again in the overall rankings with their respective Ford Fiesta and Škoda Fabia R5s, competition in the MERC 2 or showroom category will be intense. 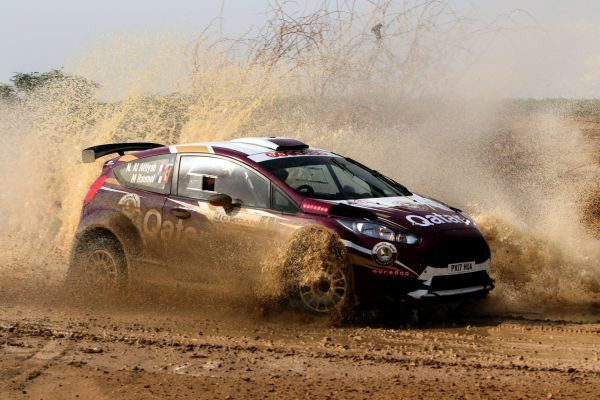 Further Qatari entries come from Khaled Al-Suwaidi (the former winner of the Kuwait International Rally), a returning Abdullah Al-Kuwari and the likes of 1993 regional champion Sheikh Hamed bin Eid Al-Thani, Mohammed Al-Meer and Rashid Al-Mohannadi. 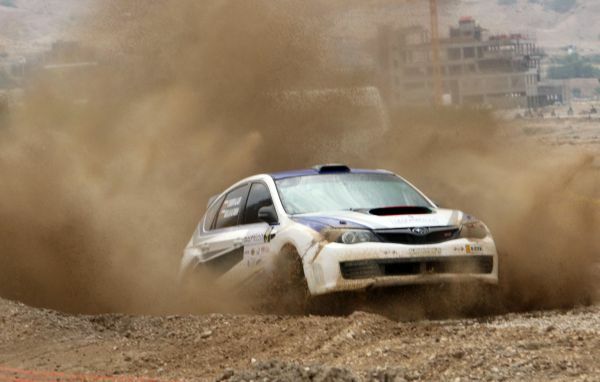 MERC 2 champion Meshari Al-Thefiri and Essam Al-Nejadi represent the State of Kuwait. Khaled Juma, Ihab Al-Shorafa and Ahmed Shaban are entered under the flag of the Hashemite Kingdom of Jordan and the new MERC 3 champion Henry Kahy represents Lebanon with his Jordanian navigator Musa Djiyerian. The surprise on the list is the impressive six-car entry from the Sultanate of Oman. 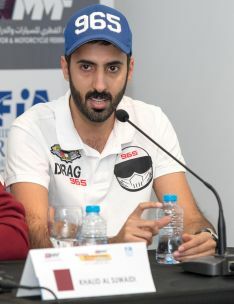 Abdullah Al-Rawahi has been a regular in the regional series this year, but the Top Team Oman Subaru Impreza driver will be joined in Qatar by five other crews. Three Mitsubishi Lancers are listed for Humaid Al-Waili, Jarah Al-Tauqi and Saif Abdullah Al-Harthy and a further two Subaru Imprezas for Zakariya Al-Shanfari and Oman-based Shaun McGonigal. QMMF President Abdulrahman Al-Mannai said: “The team have worked hard to encourage as many entries as we can for the final round of the Middle East Championship and we are very pleased with the outcome, especially after each of the major three categories were decided in Kuwait. The event will start and finish at Souq Waqif in downtown Doha with the ceremonial start planned for 19.00hrs on Thursday (November 15).